As a fan of old cameras Graeme couldn’t resist the opportunity to add the Kodak Portrait Brownie 620 to his collection. He soon found that he had got more than he had bargained for. 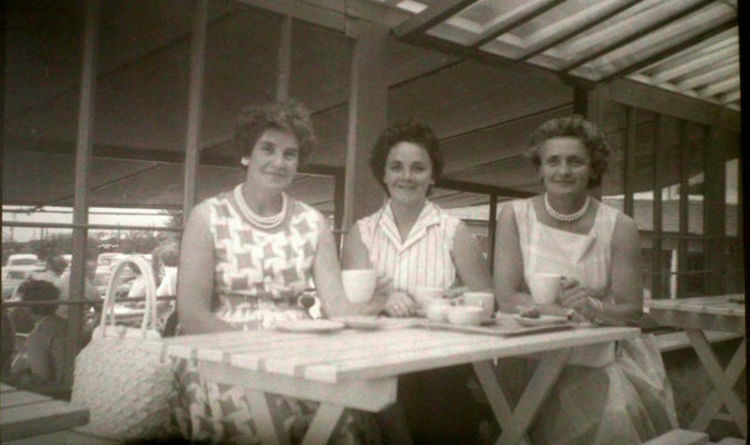 The photographs include shots of a baby being cradled in a garden, a smiling couple, a young girl posing by a wheelbarrow and a group of women in a cafe. Graeme, from Hawick in the Scottish Borders, discovered that the film inside the camera – donated to the shop on September 15 – was made between 1956 and 1970. Unfortunately the identity of the person who donated it is unknown. Graeme is hoping that whoever has a link with the camera, and therefore the pictures, lives locally and will be able to respond to his search to trace them.